A number of the organisers of the UAV Challenge are university academics, or government or industry researchers. In the spirit of the UAV Challenge, we aim to share as many as the learning experiences that we gain from running our events as we can. We will hence occasionally publish academic papers describing elements of the UAV Challenge. 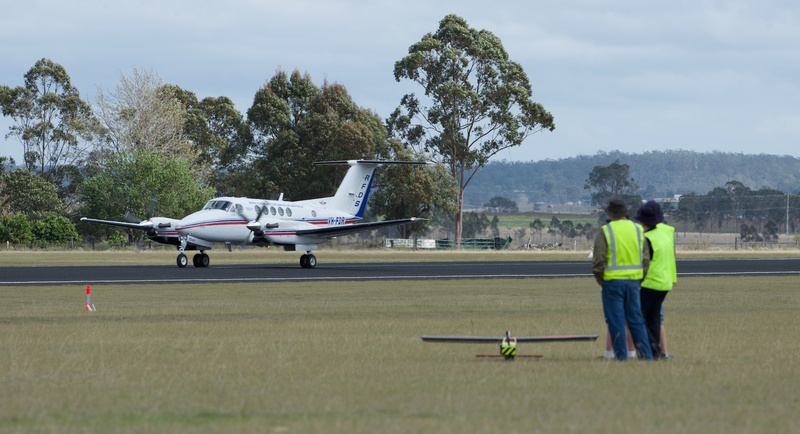 How the UAV Challenge Outback Rescue was finally won, by Jonathan Roberts, Dennis Frousheger, Brendan Williams, Duncan Campbell, and Rod Walker. Accepted for publication in IEEE Robotics and Automation Magazine (to appear). Download a pre-print here. This paper describes the story of the UAV Challenge Search and Rescue event from 2007 until it was completed in 2014. The paper outlines the competition format, a history of what happened each year and a summary of what the UAV Challenge achieved in that period. Flying Robots to the Rescue, by Jonathan Roberts and Rod Walker. Published in the IEEE Robotics and Automation Magazine, Volume 17, Issue 1, March 2010, Pages 8-10. You may be able to access the paper here doi: 10.1109/MRA.2010.935799 (it will depend if your organisation has an IEEE subscription). This paper describes the UAV Challenge up to the point of 2009. It outlines the motivation for the Challenge and goes into some detail about the 2009 event. Structuring the safety case for unmanned aircraft system operations in non-segregated airspace, by Reece A. Clothier, Brendan P. Williams, Neale L. Fulton. Published in the Journal of Safety Science, Volume 79, November 2015, Pages 213–228. You can access the paper here doi:10.1016/j.ssci.2015.06.007. This paper reviews mid-air collision models for unmanned aircraft systems. The authors develop a safety case template for unmanned aircraft operations in non-segregated airspace and categorise over 50 possible risk mitigations using their template. They apply the template to the UAV Challenge Search and Rescue mission scenario. Two of the authors of the paper have been members of the UAV Challenge Technical Committee for many years. If you are having an issue getting a copy of any of these papers, please email the UAV Challenge Technical Committee at uavchallenge@gmail.com. They will email you a PDF copy.